Compared to men, women are less likely to receive heart disease treatment, and more likely to experience severe problems during and after a heart attack. Vascular disease leading to heart attacks and strokes is the number one killer of women in the U.S. and Canada—one in two women will die of heart disease or stroke, compared with one in 25 women who will die of breast cancer. Yet heart problems are still widely regarded as a male problem, but we differ—for example, 42 percent of women who have heart attacks die within one year, compared to 24 percent of men. By the way, you may think osteoporosis is a female disease but that’s the same problem as thinking heart disease is a male disease. Osteoporosis is also a disease of both men and women and more men than women die after a hip fracture. This stereotype is most worrisome when it counts most: before a heart attack. Women are largely under-treated when it comes to preventive heart and vascular care. In a recent study, a full 70 percent of people who experienced a heart attack did not receive prior treatment for heart disease. A majority of those overlooked? Women younger than 66 years. Other research reveals: Women under 55 also have it worse than men during and following a heart attack. A study out of British Columbia showed that when a heart attack struck, women experienced more severe chest pains and more pain in spots like the shoulder, left arm, throat and neck. Women have a keen ability to spot discomfort that their loved ones experience, but it’s important to recognize warning signs for yourself. 1) Feeling tired or weak. If you work yourself into the ground during the week, feeling exhausted may not come as a surprise. Take note when you’re still feeling this way on a rested day. 2) Being short of breath. Making a big speech or seeing your child climbing on top of a cupboard can make you gasp for a full breath. But if you don’t have asthma or anxiety, and your chest is tight, make a trip to the doctor. 3) Getting light-headed. Feeling faint after a light lunch? Keep healthy snacks on hand and see if you’re still having dizzy spells. And if they’re reoccurring, see your doc. 4) Having palpitations. When your heart’s racing at night do you blame all that (good-for-you) coffee you downed during the day? If you aren’t big on caffeine and your heart’s beating hard while you’re lying down, take it up with your doc. Stop procrastinating. Too many women put off checking these symptoms because they simply “don’t have the time.” Just think of all the appointments you’d have down the line if you don’t figure out the source of these symptoms. Putting yourself first will help you get the care you need sooner, and turn the problem around if there is one. If you have experienced a heart attack, you must (we repeat, must) put yourself first. Women in the Canadian study experienced poorer quality of life, recurring chest pain and more physical limitations during their recovery, than men. Why? Since women often play caretaker to their family, they may not be as good at taking care of themselves when they need it most; the researchers found that women were less likely to do cardiac rehab than men! For your family, lead by example in taking care of yourself, with a healthy diet and exercise plan, along with regular checkups. You’ll be quicker on your feet, and can prevent scary heart problems from arising in the first place. Read on for your complete guide to how heart disease can be turned right around with lifestyle changes from diet to exercise and stress management. ~ Rid your life of the negativity and relax to enjoy your life! Take care of “YOU” and live a happy life! I just got done watching Mystery Diagnosis (http://health.discovery.com/convergence/mystery-diagnosis/diseases.html), on the Discovery Health Channel. This lady had similar symptoms of PCOS: weight gain, insulin resistant, facial hair, brown spots, etc. She went to several drs, including endocrinologists and they all thought she had PCOS. Her mother read an article in Woman’s Day about PCOS and there was a dr listed, Dr. Katherine Sherif (http://www.healthgrades.com/directory_search/Physician/Profiles/dr-md-reports/Dr-Katherine-Sherif-MD-60ADFAE9.cfm?tv=PremierPhysicians_GetProfile), who is supposed to the best of the best for treatment of PCOS. So she went and the dr gave her medicine to help with her PCOS, only it didn’t work like she thought it would. It should have lowered her Testosterone level and it didn’t. So Dr. Sherif tried another drug that is used for ADULT ONSET CONGENITAL ADRENAL HYPERPLASIA and that lowered it and relieved her symptoms. I just wonder how many of us Cysters actually have ADULT ONSET CONGENITAL ADRENAL HYPERPLASIA and just have not been misdiagnosed??? Anyway, I just wanted to get some information out there so we are aware that there is another disease out there that has a lot of the same symptoms as PCOS. Late Onset CongenitalAadrenal Hyperplasia (CAH):, or non-classic congenital adrenal hyperplasia, is a less severe form of CAH in which symptoms can vary widely and appear anywhere between infancy and late adolescence. Because the symptoms can be mild or be confused with the symptoms of other disorders, it may not be diagnosed until a person is well into adulthood, if it all. To make things even more confusing, symptoms can come and go throughout one’s life. The basics behind late onset CAH: Because of an enzyme deficiency, cortisol production is limited, causing the adrenals to overcompensate and make too many androgens (e.g. testosterone, DHEA). If a child has precocious puberty symptoms, advanced bone growth, or extreme muscle development, he or she is more apt to get diagnosed. Fairly often, however, it goes undiagnosed. This is because the physical symptoms in males are not as obvious since higher testosterone causes less differences in men, and a lot of doctors don’t think to check for late onset CAH when a woman complains of acne, menstrual disorders, and excess hair growth, etc. Also, both sexes can suffer from anxiety or neurological disorders caused by the lack of enough cortisol (which deals with stress) and excess androgens. The most common cause of both CAH and late onset CAH is a 21-hydroxylase deficiency. However, these disorders can also be caused by a deficiency of 11 beta-hydroxylase, 17 alpha-hydroxylase, 3 beta-hydroxysteroid dehydrogenase, or 20-22 demolase. 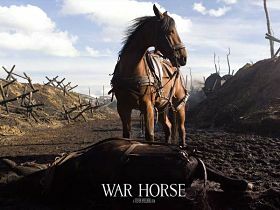 WAR HORSE... BE AWARE... SYMPTOMS COUNT! THE RIGHT DIAGNOSIS WILL KEEP YOU ALIVE! PCOS is a highly misdiagnosed syndrome… Most doctors interpret PCOS in their own way… Hardly ever the right way! Felt i should post these sites i found for a friend of mine…. Truth was his Depakote level was 3 points over the legal limit for the body! Another problem, that hospital took him off all drugs which put him in to severe withdrawl !!!!! – He was not Diabetic, but had a Hypothyroid and has lost 60 lbs in a few months after… Plus, now has the heart of a 20 yr old, per his heart surgeon! There is a well-known list of medical conditions that are all somewhat difficult to diagnose, and all can present in a variety of different severities. Diseases in this group include multiple sclerosis, lupus, Lyme disease, fibromyalgia, thyroid disorders (hypothyroidism or hyperthyroidism), chronic fatigue syndrome, diabetes – all of these can have vague symptoms in their early presentations. Also, depression can have some symptoms similar to these conditions, and also the reverse, that many of these conditions can mimic depression and be misdiagnosed as depression. You have to keep a record of symptoms, drugs, etc… Have someone available that knows you quite well to back you up! Look up things online, in forums and groups, etc… KEEP notes on what doctors say, do, etc… It all pays for you in the end! ~ YOU are in control of your body!